You know spring has sprung when the pale, stringy stems of Clematis alpina burst into leaf. 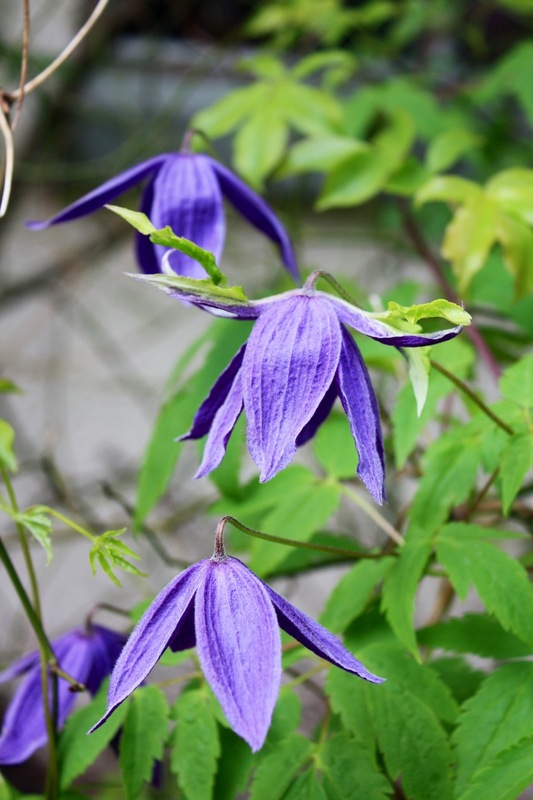 An incredibly hardy climber, Clematis alpina can manage without pruning, will tolerate a north facing wall and leap like a mountain goat across low growing shrubs. The purple, pink or white flowers emerge immediately after the leaves and are followed by fluffy seed heads. In our garden this one flower has developed unusual green tips on its sepals.